Blogging itself is constantly changing, despite the fundamentals of creating content online, it's constantly moving forward and you have to be really inventive and imaginative with how you go about it. 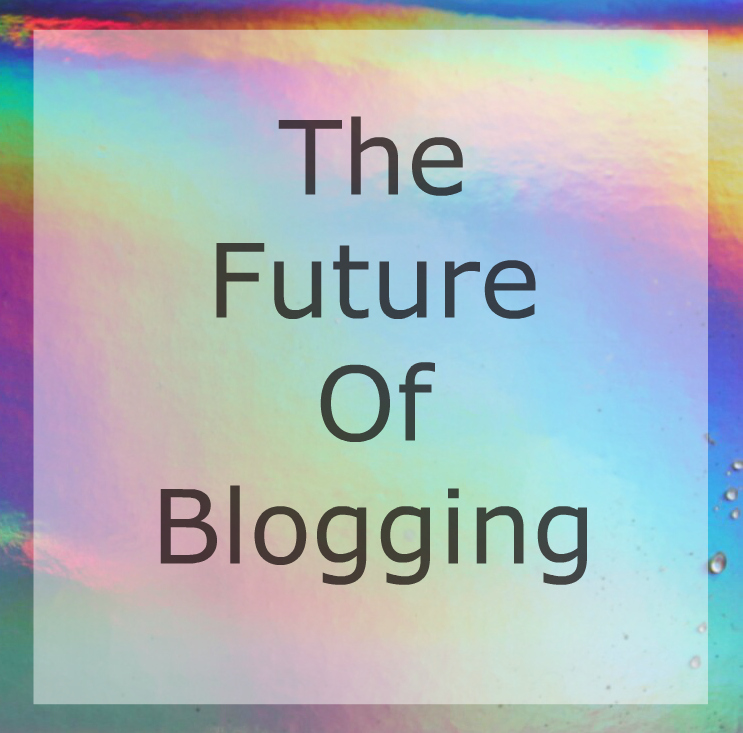 Today I wanted to talk about the future of blogging in terms of the recent innovations. By now, we've probably all heard of the umbrella term influencer that covers blogging, vlogging and the new wave of savvy social media influencers. I personally don't apply this to myself - I log my thoughts online and if I end up with nice products to try out and discuss or if I make a bit of money through affiliation or sponsorship then all the better. There's no denying the fact though that social media influencers offer an easily-digestible new format of content that has the capability to reach and engage a lot of people from a certain demographic in one go, which, ultimately, is what PRs and Brands look for, and is how we earn our money. To a large extent, just writing a blog post isn't enough anymore. We've got to keep up. It's a definite case of sink or swim in such a competitive industry. Whether you harness the new social media wave through documenting your day on Snapchat or Instagram stories or by bite-sizing your blog posts onto Facebook, be present and seize new forms of connecting with people. It's just how it works, and it's the same in magazines and with newspapers covering stories. Nothing you do in life is ever unique either, but if you inject innovation and ooze personality in what you do then you'll eventually reap the rewards. Think to yourself, what is it that makes you unique? What is different about you? Do you have a passion for photography, for art or for design? Are you a deep thinker who loves to explore meaning, or do you love sharing funny stories and making people laugh? Do you sing? Do you write poetry? Do you play an instrument? I can guarantee there's going to be something you can bring to the table that sets you apart from the rest. Let your readers in, let them see what makes you you. All the well known bloggers, vloggers and social media influencers that you see didn't get to where they are now by treading cautiously, they've got there through being unique and offering something different to the industry. Catering universally, whilst it may seem like the 'right' thing to do, is less likely to attract a loyal readership than letting yourself shine through what you do. You've got to be confident and you've got to be yourself. The more of us there are, the more competition there is for opportunities and the more likely it is that another blogger will get that sponsored post opportunity over you, the more exclusive and harder to get into events are and the more difficult the blogging industry in general will be to break into. Whilst the everyone's welcome motto is great, truly it is, it's made it much easier for me to be able to speak to people online and converse with like-minded people, with 2.7 million blog posts being published everyday in 2016 (stat from hosting facts), it's questionable as to whether there is enough space in the industry to sustain the millions of blogs and rising who are looking to make an income from what they do. When I started back in 2014, I got so many opportunities in the first 6 months, despite being new, numbers weren't a big of a deal back then as a lot brands were still new to the whole blogger outreach. You simply had to be up for writing a blog post. Over time, it's become increasingly harder to get a word in edgeways amidst the booming blogosphere. You're now competing with bloggers who have purchased a large proportion of their following (tres shady), hobby bloggers that can be more desirable for brands as they often don't ask for payment and bloggers who are simply more well-known than you and can deliver the message the brand wants to a larger amount of people. It's no longer just a case of finding a brand you like the look of, messaging them and getting products to try out in return. Nevertheless, the more popular blogging becomes, the more and more brands will extend their blogger outreach and harness the service we can offer them, so it may come back around full circle and literally just become a bigger more utilised industry than what it is now. I suppose it's becoming increasingly like Journalism in it's competitive nature, just more personalised. One thing I've noticed about the blogosphere in the past year or so is just how varied it really is. Of course, there have always been beauty bloggers, lifestyle bloggers, food bloggers and parenting bloggers. Nowadays? There are blogs dedicated to every niche you can think of; health & fitness, natural living, inexpensive travel, writing and literally anything you can think of, they'll be a blog based around it...and there's a market for it. As the world becomes increasingly online-orientated, the more of a basis these blogs have to be read. 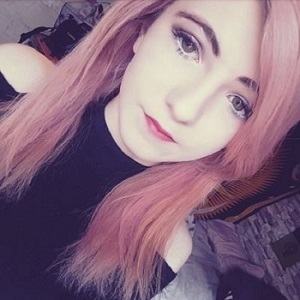 Some of my favourite blogs to read are ones that really break the stereotypical beauty blogger category, which dominated the blogger world for many years, now people are beginning to share short stories on their blogs, poetry and some are even adding a small business on the side, I've personally done the latter myself. I've seen a lot of people self-publishing e-books and books (woooh! ), making creative artwork on etsy and so much more. In my opinion, reading blogs has become way more exciting in the past year or so as there's so much variety in people's content. My advice is, break the mould and do what you want to do, don't live with an expectation that you're blog needs to be just like everyone else's to be successful, as it's the ones who do things differently that really find success. It's vital in the world of blogging to think outside of the blogosphere. What's being talked about at the moment? What current world issues are there that you would be great at voicing an opinion on? It's currently Pride Month, last month it was Mental Health Awareness week - and it's the general election this week! These are topics that a lot of people outside your normal readership would love to read, and they're also seriously important. In addition, if you run a fashion blog, what are the trends right now? If you run a beauty blog, what's the latest product everyone's raving about? Putting your blog into a wider context can really help in adding a breath of reality to it, and as I mentioned in a previous paragraph, it can really add a depth of personality to it too. It's hard to say how blogging will change and grow in the next ten years, let alone what the landscape will look like in six months time. It's an ever-changing world and all I can say is make sure you're the one treading across boundaries, paving the way and breaking the standard expectation. Read other blogs, look outside of blogging, take inspiration and transform your blog into your own game-changing work. Most importantly, keep your head up and rise above all this twitter drama and don't be scared that you'll become the next victim based on what you say. This world runs off opinions, and yours is just as valid and important and they'll always be people who don't like that. I wrote this post as part of a study by the Innovation company & Agency as to what innovations are occurring in blogging and what the future of blogging looks like. Very interesting post! The blogging world is wonderful and weird at the same time. It's interesting to see, as you say, how fast everything changes and you really have to keep yourself on top of the game if you don't want to be drowned out. Which is hard when 2.7 million blogposts are published every day... makes you really think about how selfexpression and journalism have changed these past couple of years.